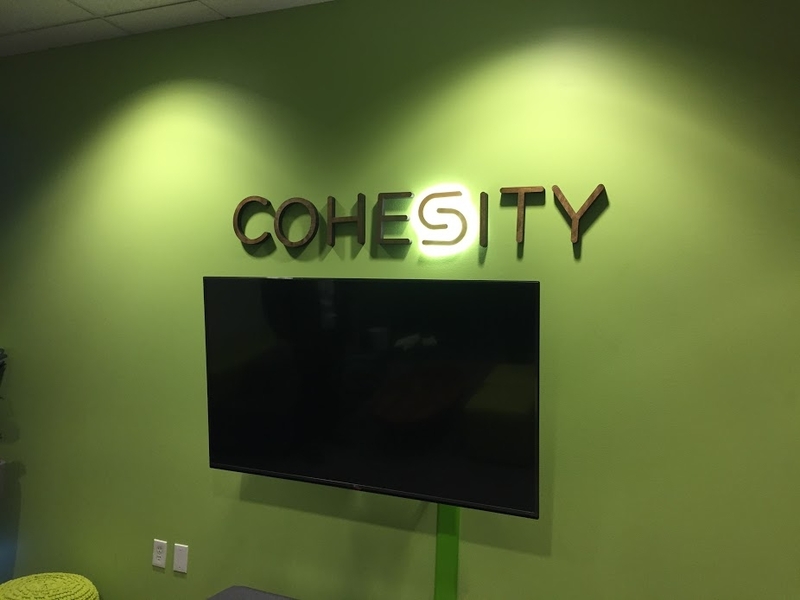 The first stop for us at Tech Field Day 12 was Cohesity’s office, where we had a nice breakfast waiting for us (along with a great delegate gift consisting of a multi-end USB cable, a notebook, a portable battery, and a Polaroid Snap camera). Soon after settling in, we got straight down to business. I had previously written a ‘primer‘ regarding Cohesity, and I saw them present recently at the Toronto VMUG, but I still wasn’t fully familiar with the brand or their offering. Cohesity markets itself as secondary storage, a market that its founder, Mohit Aron, felt was being underserved. Without repeating everything from my previous post, the common use-cases for secondary storage include data sets such as backup targets, cold data, and test / dev. The discussion was lively, and the engineers presenting were top notch. One feature, in particular, did catch my attention, though, which I’ll be focusing on. At Tech Field Day 12, Cohesity officially unveiled their DataPlatform Cloud Edition preview. 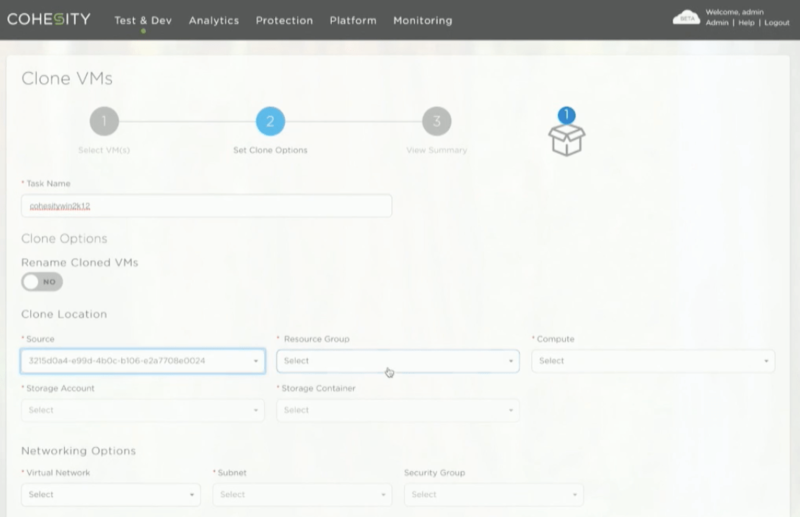 If you read my previous post, you’ll know that that DataPlatform is their on-premises storage platform (that is, not their backup portion). The Cloud Edition takes this platform and lets you spin up an appliance in the cloud. The demo we saw was ran on Azure, however, we were told that there will be an AWS version as well. Getting started with the Cloud Edition is quite simple: find the appliance the in the Azure marketplace and spin it up. Once the VM is running, you will be able to start syncing data from your on-premises environment. Replication setup is virtually identical whether you are going physical to physical, or physical to the cloud. Having a consistent user experience is great to see, as something as simple as that is all too often lost. Now that you have data sitting in the cloud, what can you do with it? Well, for one, you can spin up a virtual machine from your backups. In order to do this, you set up a ‘view box’ much the same way you can with the physical appliance. The view box is essentially a scope that defines what data or VM(s) you are working with. Once you have that lined up, you can choose the specifics with regards to resource needs, and spin up the VM. With VMs running in the cloud, this could act either as part of a DR solution, or a great way to run test / dev in the cloud. In my mind, I still struggle with the fact that Cohesity is secondary storage. From a feature set perspective, they are quite full. Of course, you wouldn’t want to store your backups on production data, but when you see features such as the analytics and replication, you tend to forget that this isn’t meant for primary storage. I could see this being a great appliance for a service provider, an environment where you can backup and/or replicate customer VMs to. And hey, if you have all that data, you can also charge for (or offer as a complimentary service) analytics, or basic compliance checks (e.g. checking for credit card numbers stored in data). With regards to the Cloud Edition specifically, I think there may be confusion with the ‘CE’ abbreviation. We are seeing a lot of ‘community editions’ of software these days, so thinking that there is a free Cohesity virtual appliance might lead to some frowns. Of course, if a full fledged virtual appliance were offered, I’d love to kick the tires on it. On that note, since there will be Cloud Edition appliance offerings in both AWS and Azure, I don’t foresee a service provider market evolving for Cohesity backup targets (think of something similar to Veeam’s Cloud Connect). The preview that we saw from the Azure marketplace is currently available to a handful of Cohesity customers. General availability is expected in the early half of 2017. You can find all of Cohesity’s recorded presentations on their Tech Field Day 12 page. Disclaimer: I was invited to participate in Tech Field Day as a delegate. All of my expenses, including food, transportation, and lodging were covered by Gestalt IT. Cohesity did provide all delegates with a gift bag, which consisted of a Cohesity branded notebook, a Cohesity branded battery pack, a Cohesity branded ‘multi-head’ USB cable, and a Polaroid SNAP camera. I did not receive any compensation to write this post, nor was I requested to write this post. Anything written above was on my own accord.